Albert Pye JRSO signed up for the Big Pedal 2017. The Big Pedal is the UKs largest biking and scooting to school competition with over a thousand schools taking part. We organised a poster competition to promote the Big Pedal. The winning posters were put up all around the school. During the two weeks of the Big Pedal the JRSO counted how many bike and scooter trips took place. Each class was encouraged to take part. The JRSO collected the sheets from each class and put the information on the Big Pedal website. Half way through the competition the JRSO updated everyone on how each class was getting on and how the school was doing. 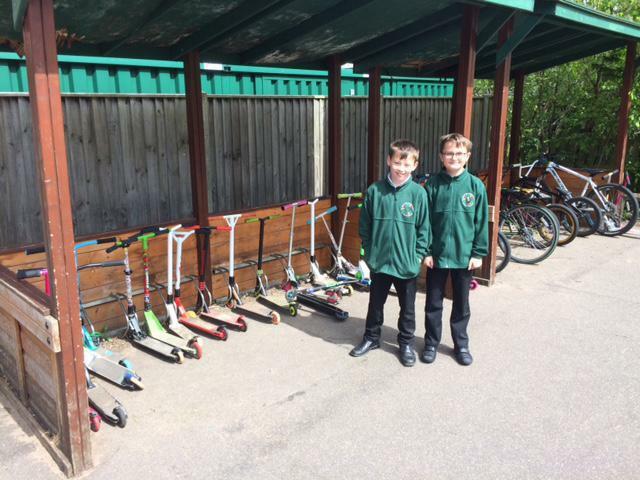 Albert Pye finished 455th with 27% of the children biking and scooting to school. 4G won the class completion making 204 journeys to school during the two weeks.